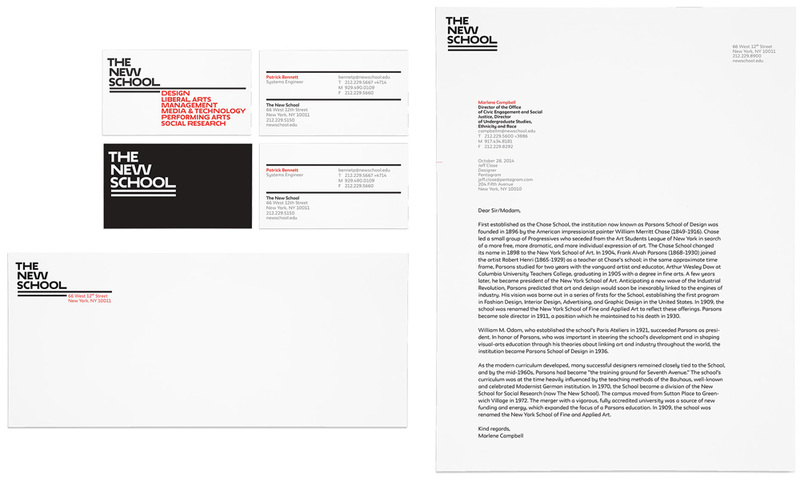 Established in 1919 as the The New School for Social Research in New York, NY, The New School is a leading urban university offering degree, certificate, and continuing education programs in art and design, social sciences, liberal arts, management and public policy, and performing arts. It offers 134 degree and diploma programs and majors through seven academic divisions (or individual schools, many of which were independent organizations before joining The New School): Eugene Lang College of Liberal Arts, Mannes School of Music, School of Drama, School of Jazz, Schools of Public Engagement, The New School for Social Research, and Parsons School of Design (the most famous of the bunch thanks to its Project Runway hosting gig). Over 400 full-time and 1,700 part-time faculty teach more than 6,700 undergraduate and 3,400 graduate students, including notable alumni like fashion designer Marc Jacobs, composer Burt Bacharach, and actor Bradley Cooper. 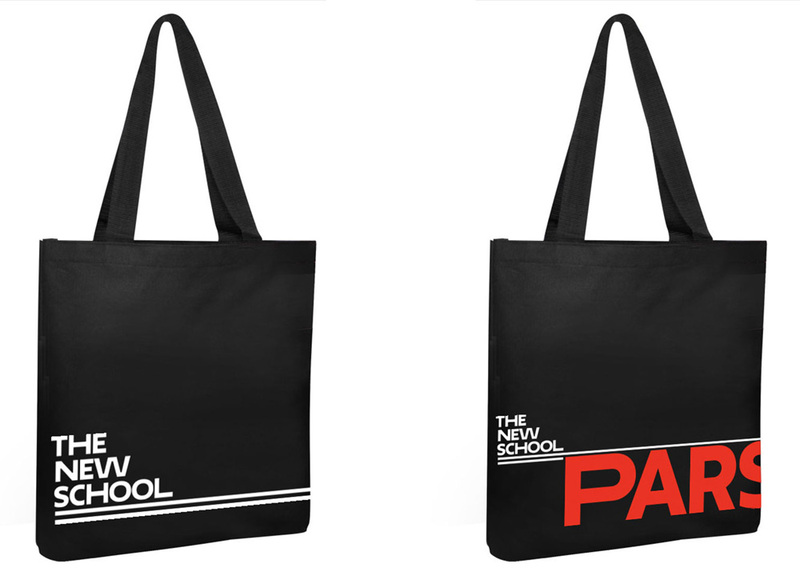 Yesterday, The New School introduced a new identity designed by Pentagram partner Paula Scher. A sample of the old look, designed by Siegel+Gale in 2005. Using custom typography, the identity establishes an iconic brand for The New School as a whole, while also setting apart the university’s different schools, institutes and programs. The identity introduces a groundbreaking bespoke typeface called Neue that is composed of extended letterforms. The typeface is revolutionary in its combination of regular, extended and very extended widths of the same font programmed together and used all at once. 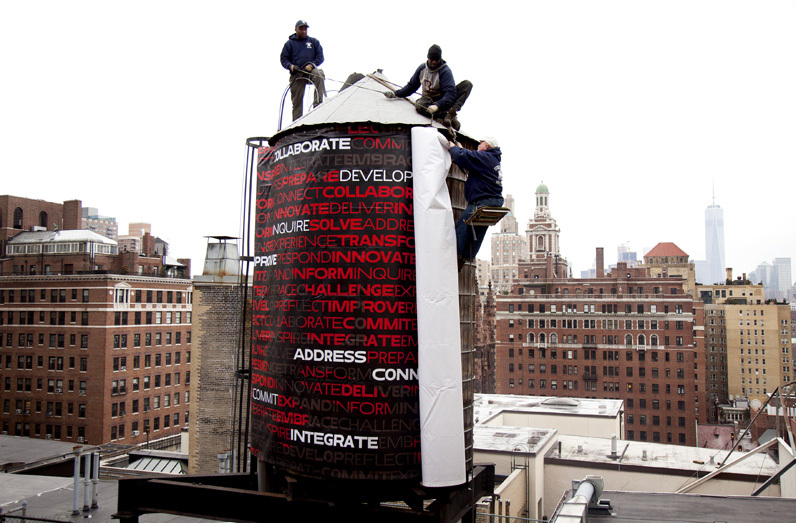 The typography embodies the progressive mission of The New School and represents a technological advance in the art of type design. I’ve always been a fan of Siegel+Gale’s spray-painted identity. It was (and still is) a bold move for an educational institution, even one deep in New York City where such shenanigans are to be expected. What made it great wasn’t so much that it was spray-painted but that it defied expectations and set itself apart by being purposely different and slightly uncomfortable. The new logo and identity achieve a similar effect. The wordmark is not classically pretty — the odd “W” has already been the subject of many hate-Tweets — but it commands attention in the way that odd New Yorkers (in their styles and behaviors) command attention: by being uniquely personal and slightly off. I love the new letterforms and think the “W” is fantastic in its awkwardness and despite all letters having different widths it’s still masterfully consistent. The double-line rule under the name comes directly from The New School’s University Center building, designed by SOM, functioning as a modern-day, mono weight Scotch rule of sorts. The school names are not individual logos, but did need to have their own unique character while remaining connected to each other. To develop the new font, Scher experimented with extending different letterforms for different words. Each letter has been drawn in three widths that are used together seemingly at random. An algorithm has been created to facilitate the use of the three widths in headlines and text. Brand hierarchy, showing the different schools/divisions; static. The lines work great with the division names, keeping the institution’s name always tied to the division and functioning as an anchor for layouts, particularly effective in online applications. The reduced division names definitely help with the new aesthetic and reflect better the way most people refer to them. 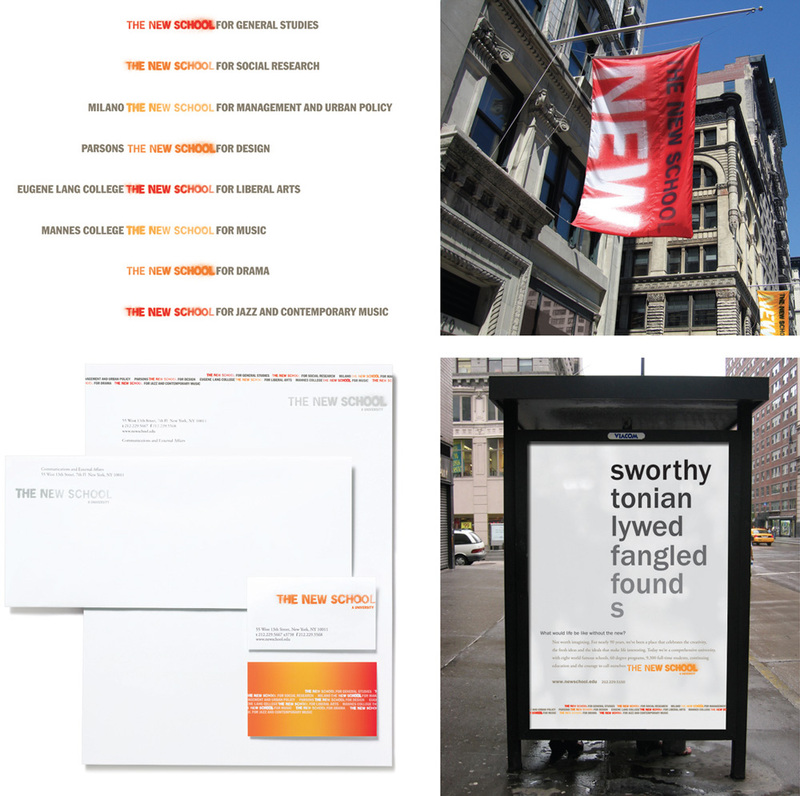 The aesthetics of the identity system is inspired by the architecture and typography of the New School’s landmark Joseph Urban building, as well as the new University Center, which opened in 2013. Neue (pronounced Noya) is a customized version of the font Irma, which is utilized in the environmental graphics of the University Center and was designed by Peter Bil’ak. Scher commissioned Bil’ak to draw and program Neue, which means “new” in German. 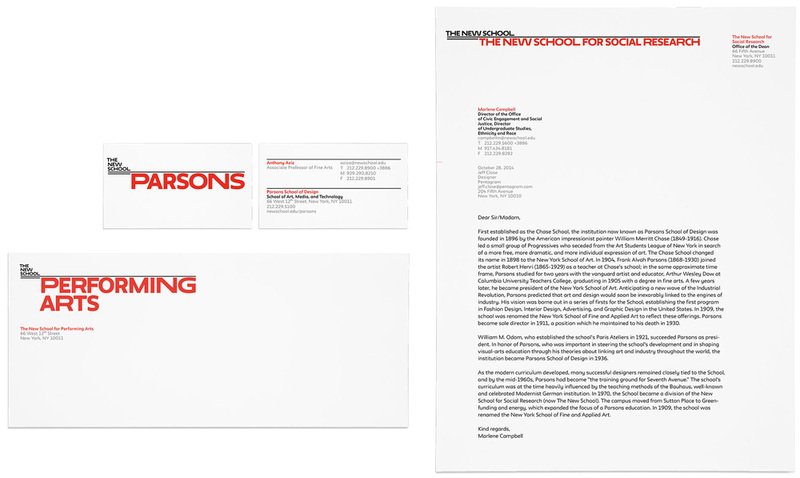 The proprietary font has been named in honor of The New School, with a nod to The New School’s historic luminaries. Process work on the new font. 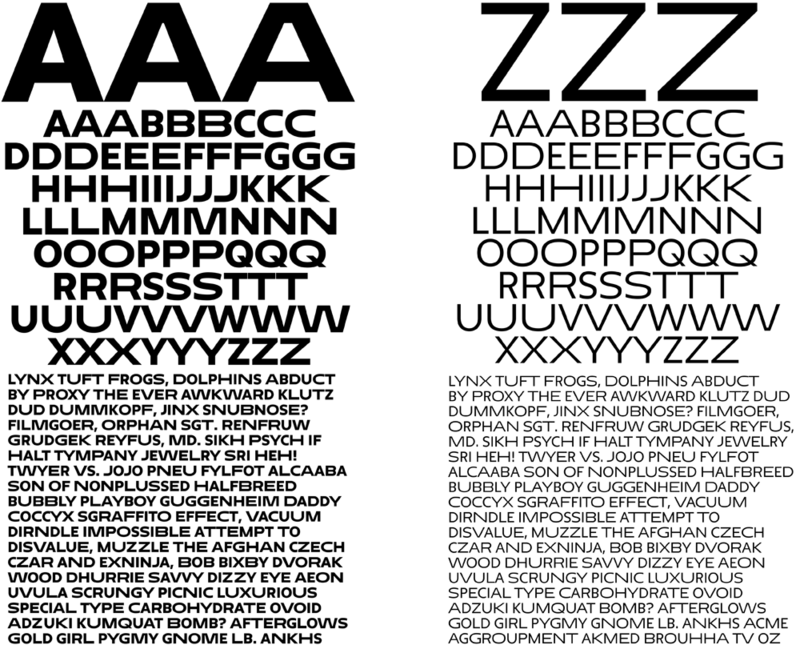 Neue Display, Neue Display Wide, and Neue Display Ultra in Black and Regular weights. The three different widths of every letter. Whether you like the new logo or not — and I’m guessing most won’t — the type family created by Peter Bil’ak is absolutely great. In its normal width it passes as another quirky sans serif but as it gets more extended it gains personality and distinctiveness with the best characters being those that exaggerate the diagonal joints like the “W”, “M”, and “K”, creating a relatively unseen effect in type design. (A good thing some will argue!). The identity incorporates a pair of parallel lines that echo the horizontal striations in the architecture of the buildings. These graphic bars anchor The New School wordmark and provide an organizing device to display the names of the various schools and programs at different scales in relationship to the logo. The system enables The New School to stand alone at large scale, or act as an endorser when connected to schools such as Parsons and Lang. 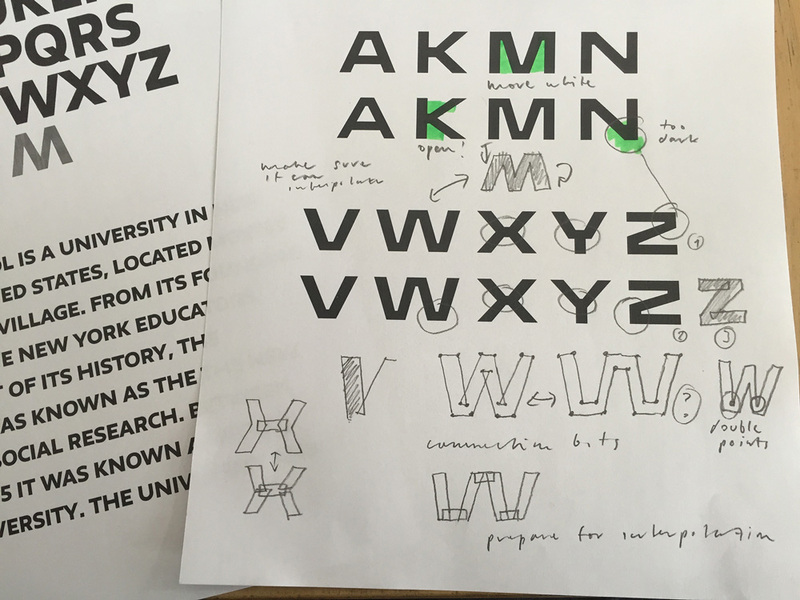 The flexible structure allows the university to continue to evolve and change, and supports the different names to work alongside The New School brand. The New School wordmark and bars appear in black, while the names of the individual schools and programs are set off in red. 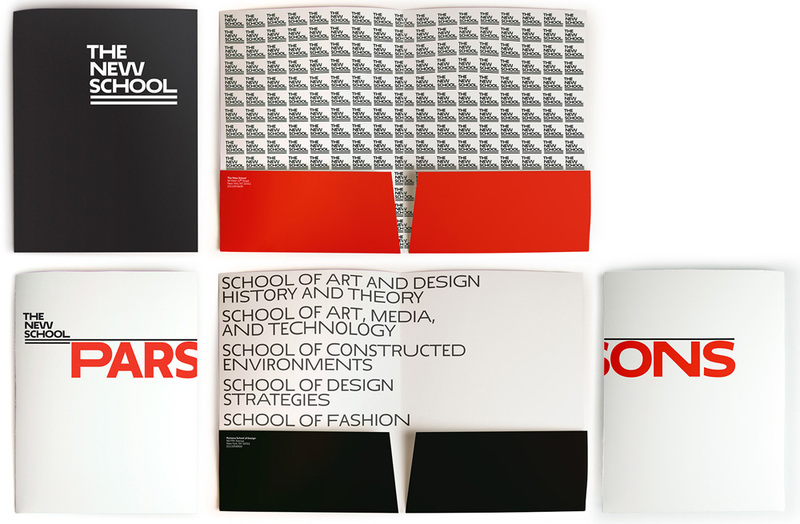 The university commissioned a Pantone color, called Parsons Red, to honor the design history of its Parsons School of Design. Folder. I love the inside of the top folder too much. 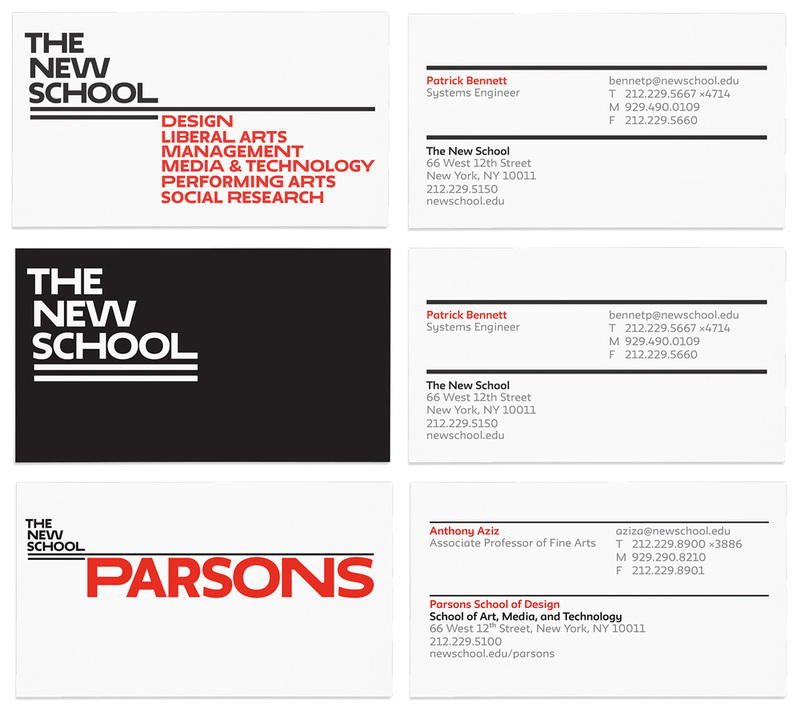 App icons for The New School and Parsons. In application, there is a little bit of everything, showing the flexibility of the system: Big logo, small logo, big division, small division, stacked, horizontal, on black, on red, on white, in pattern, no pattern, etc. Some work better than others but they all clearly come together as part of the same system. The one element that jumped at me is the use of Bil’ak’s Irma as the supporting typeface: it’s perfectly nice in its friendly corners and shapes (and is already in use in the signage of the new building) but when paired with the almost brutalist Neue, the contrast is not ideal. Other than that, I find this identity very appealing and appropriate to a bold, urban institution that no other college or university could pull off as convincingly or with the same swagger as The New School.